At Midland Regional Printers Ltd, we are proud to have been certified with ISO 14001 by United Registrar of Systems. With this accreditation you can be sure we recognise the contribution we make to our client’s environmental strategies and our responsibilities, beyond just the production of goods. We are continuously looking to improve and protect the environment by identifying, implementing and monitoring ways in which to reduce our impact upon the local and global environment. To this end, MRP has implemented and maintains an Environmental Management System, which meets the requirements of ISO 14001:2015, to ensure that we provide our goods and services in an environmentally responsible manner. On being awarded the ISO 14001 accreditation, we as a company sincerely hope you will have the confidence to trust in the professional service we offer so we can provide the foundations to better customer satisfaction and to continually meet yourpackaging and label needs. Foster a sense of environmental responsibility amongst all our staff. Ensure unavoidable waste is recycled, reused or recovered, wherever possible. Minimise the environmental effects of material sourcing by evaluating the environmental performance of our suppliers. Ensure we can detect, and where possible prevent pollution through accidental emissions or effluent discharges. Continually strive to improve our environmental performance and prevent pollution. Set, monitor and achieve environmental objectives and targets. Consider new environmentally friendly technology when it becomes available. Use recycled, recyclable or reusable packaging wherever possible. Always use recycled, FSC certified or materials from well managed forests or controlled sources. We are very proud to be named as one of the UK’s Top 500 printers again for 2018 by PrintWeek, furthermore, we have moved up the rankings by 64 places to 397! Building on over 49 years of experience, we pride ourselves on our professional service and the long term relationships we build with both our customers and our loyal team. We feel we are small enough to remain personal but large enough to provide a professional standard of service. Please see http://www.printweek.com, http://www.britishprint.com and www.mrp.uk.com for more information. 2017 has been a year of growth, development and investment and with an exciting start to the new year, we are excited about some of the great things we are achieving, not just within the company but primarily for our clients. We would like to share with you a few of our reviews – every review is valuable to us and we appreciate all your time putting them together, thank you. Midland Regional Printers Ltd are delighted to announce a new partnership with Nottingham Rugby. Midland Regional Printers Ltd are proud to have teamed up with the Nottingham Rugby (The Greene King IPA Championship Club). We are delighted to be able to work on all the ‘Green and Whites’ marketing materials, including their match day programmes, event tokens, posters and flyers. We were privileged to have Marketing and Operations Officer Simon Ball-McQueen and first team players Tom Holmes and Darryl Veenendaal visit us for a tour of the factory and to meet staff and directors. For more information on MRP’s products and services, please visit www.mrp.uk.com, or call 0115 955 1000. Photo – MRP Sales & Marketing Director Catherine Tew, First Team Player Darryl Veenendaal, MRP Technical Director Michael Tew, First Team Player Tom Holmes and MRP Managing Director Stephen Bates. We are both excited and proud to share our news including all the latest investments throughout 2017 and continuing into 2018. 2017 was an amazing year for Midland Regional Printers Ltd (MRP), Nottingham’s Packaging and Labels Specialists. The company enjoyed growth and success across several areas – including reaching the finals in two prestigious industry awards, and investing over £1.5m in new equipment and software. At a time when many printing firms face difficult market conditions, MRP are enjoying a major growth surge. A few years ago, the company took the brave decision to change its focus from commercial print to packaging and labelling which have always been two of the company’s strengths. With equipment already in place, this put MRP in a strong position to provide a solution for their client’s needs – working alongside household names from the health and beauty, toy, retail and leisure industries. With business gaining momentum throughout 2017, MRP made some major investments to make sure they could keep meeting and exceeding their clients’ expectations. Their first acquisition, in February, was a Heidelberg XL B1 6 colour press, which has increased print capacity and enabled MRP to offer a greater variety of packaging options. This was followed in October by an Easymatrix Die-cutter which can handle stocks from 90gsm – 2,000gsm (and corrugated up to 4mm thickness). Then a Flexographic Bar Graphics Rewinder. These machines will run alongside existing plant to boost capacity for both packaging and labels. 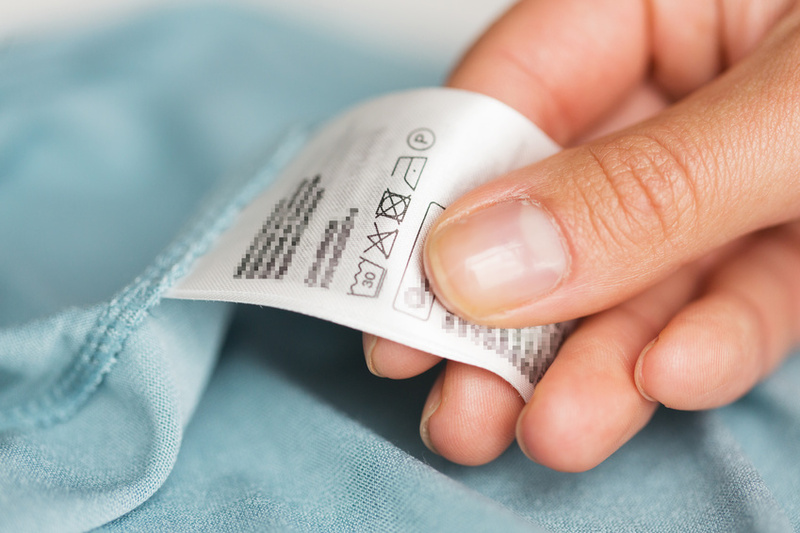 Apart from print quality and customer service, what are the other secrets of MRP’s success? It’s the company’s ability to provide a complete, end-to-end solution under one roof, coupled with a refusal to adopt something that’s all too common in today’s print industry: a ‘one size fits all’ approach. “We take the time to understand each client’s unique requirements and specifications of their individual product. Our skilled and experienced staff can provide as much or as little guidance as they need: from simply printing existing designs to offering advice and creating concepts and CAD designs from scratch. From materials and colours to foiling and finishing, it’s all about finding the right format for the job in hand. However, it’s not all ‘work, work, work’ at MRP. During 2017, the company raised over £600 for Children in Need, plus an amazing £1,600 for School for Parents (a local educational charity), when Catherine ran the Robin Hood Half Marathon in September. MRP further supported School for Parents by printing the programmes and menus for their Summer Ball and events. The company also sponsors Nottingham Rugby Club, providing a range print services all their marketing material, to all their match programmes. Please get in touch if you would like any further information or advice – we look forward to hearing from you. As you may know we entered one of our favourite range of labels into this year’s prestigious FlexoTech International Print & Innovation Awards – and guess what… we did it! We had been shortlisted in the ‘Best use of flexo within a single forme’ category and were delighted to be named the winner at a black-tie awards ceremony and dinner at the Hilton London Metropole on the 13th October. Stephen Tew, Stephen Bates, Catherine Tew and Matt Seaford attended the event hosted by Whitmar Publications, this was a truly international evening, with around 450 people in attendance from leading labelling manufacturers around the globe. And whilst the companies themselves might not be household names, many of the nominated products certainly were, with ranges from top brands such as Asda, L’Oreal, Sharwood’s, Dettol and Coca-Cola all up for Flexo-Tech awards. We are now looking forward to entering into next year’s awards – thank you to everyone for all your support.